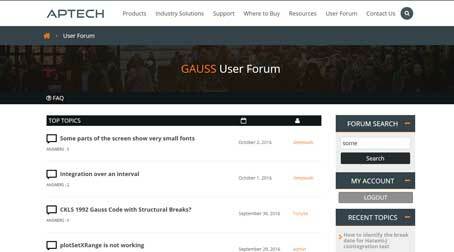 GAUSS 13.1 is a free upgrade for anyone with a valid GAUSS 13 license. It provides new features and bug fixes. Below are some of the new features. Easily control x-tic label location and formatting. Supports monthly, quarterly and annual data. No longer need to #include structure definition files for structures in a library. GAUSS provided structures come in a library. Add your structure definitions to a library with a couple of clicks.